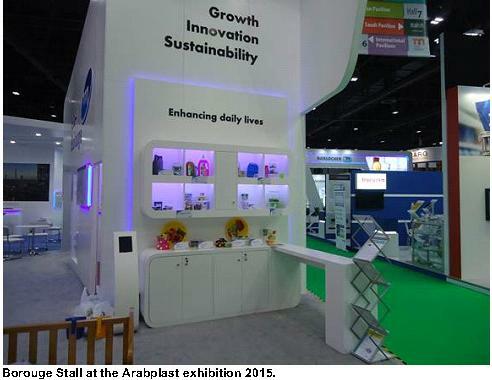 Arfeen participates in Arabplast exhibition 2015. 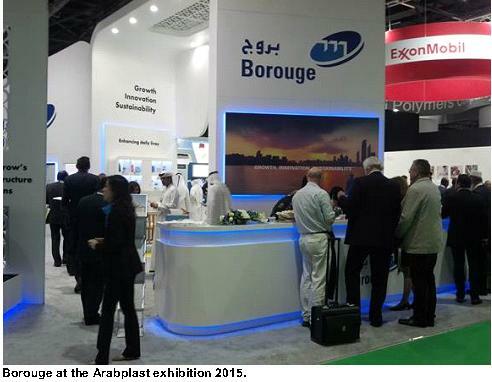 Our principals M/s Borouge Pte Ltd was the principal sponsor at the Arabplast Exhibition 2015 held on 10th -13th January 2015, at Dubai. 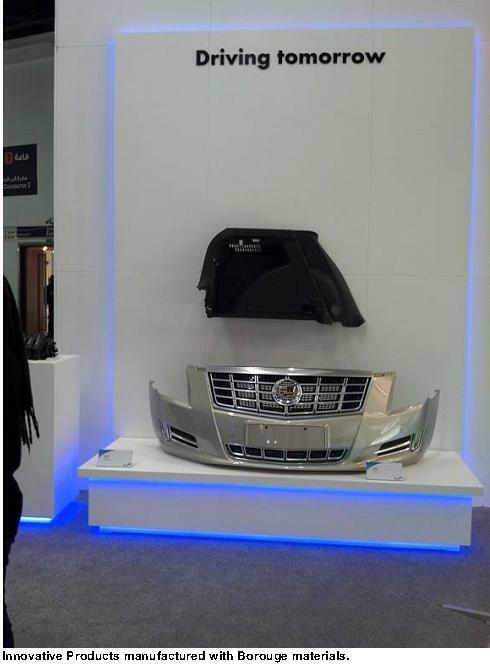 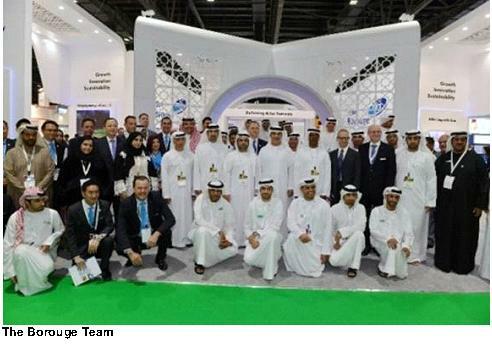 It is the largest plastics trade fair in the Middle East and North Africa (MENA) region. 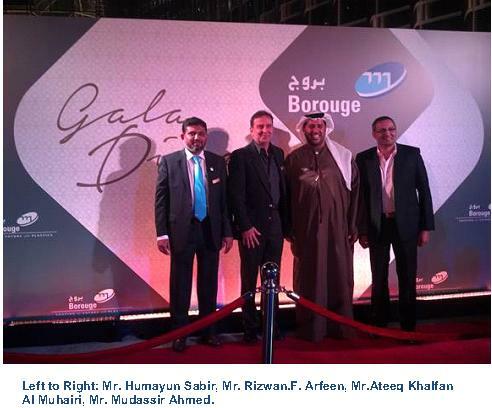 The exhibition was inaugurated by H.E. 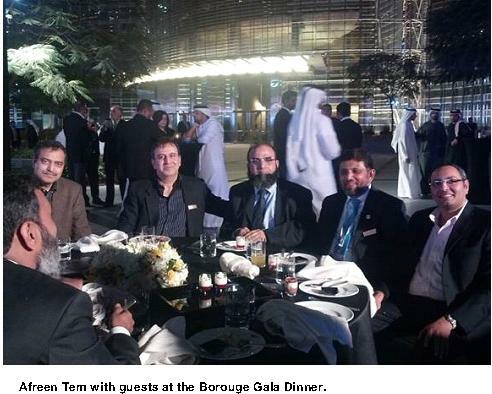 Dr. Abdulla Bilhaif Al Nuaimi, UAE Minister of Publics Works, accompanied by senior officials of the UAE government. 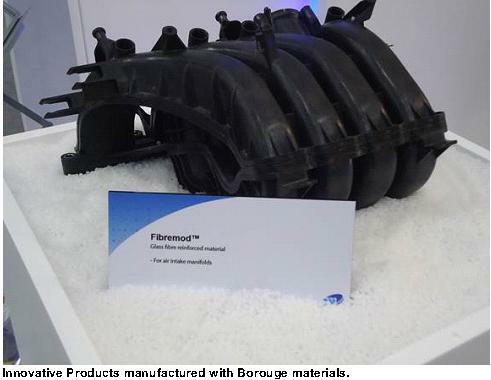 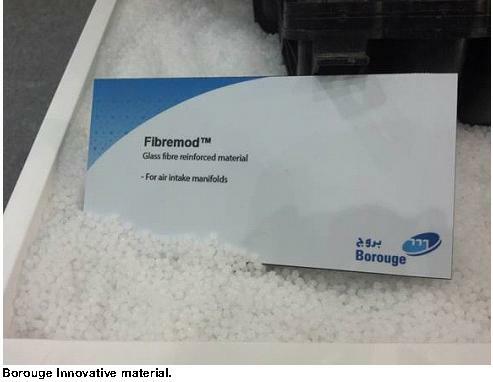 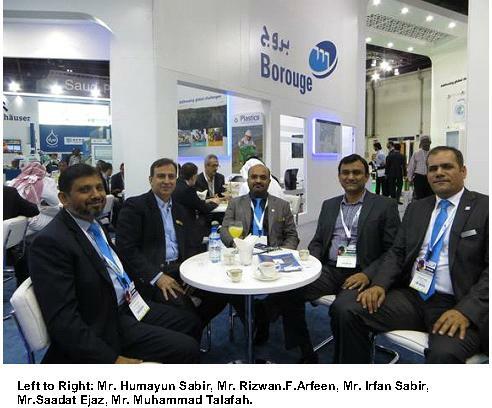 Borouge presented many new and advanced packaging solutions to its customers at the exhibition. 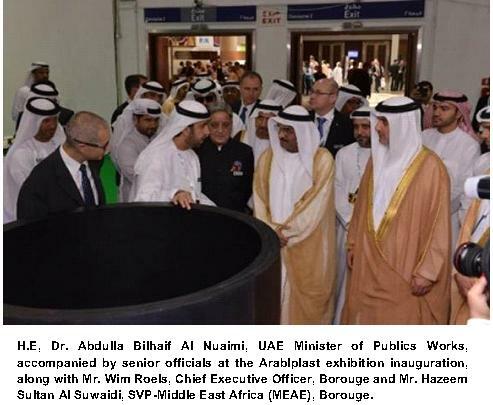 Hazeem Sultan Al Suwaidi, Senior Vice President Middle East Africa (MEAE), Borouge, said that Arabplast is the most important exhibition in the MENA region where Borouge can meet its customers and promote its commitment to delivering superior solutions and services to maintain its position as the recognised leader in plastics for tomorrow’s infrastructure applications including pipe systems and power and communication wires and cables, as well as being the leading value added polyolefin provider for advanced packaging, agriculture and mobility applications. 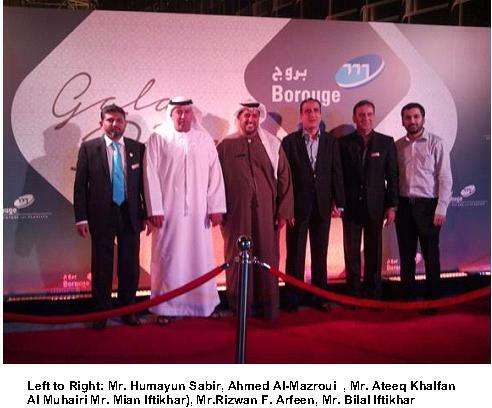 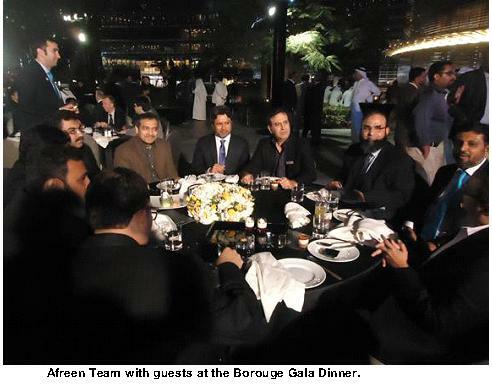 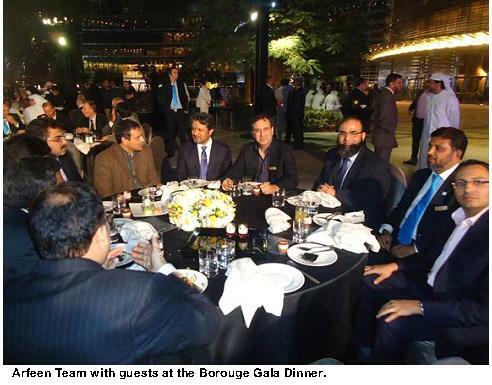 Arfeen team as agents for Borouge in Pakistan, participated in the exhibition. 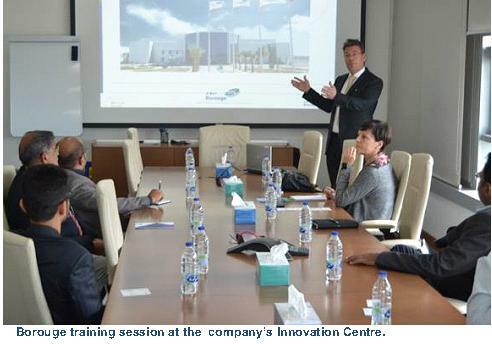 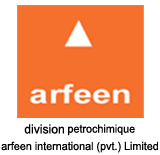 The delegation was led by Mr. Rizwan F. Arfeen, CEO, Division Petrochimique, Arfeen International (Pvt) Limited, He said that the Arfeen team has already geared up for expansion in Borouge capacities by coordinating with customers for new approvals and expanded supplies, including new innovative application for previously untapped market. 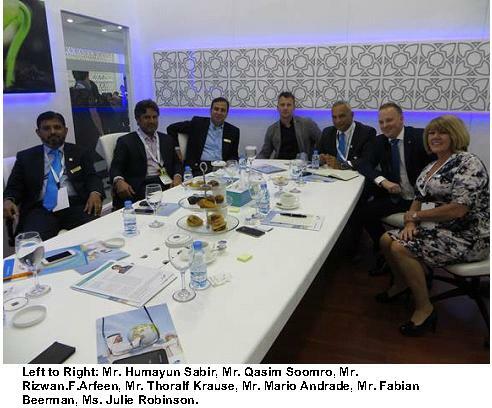 The visitors and clients from Pakistan appreciated Arfeens role in providing high quality products and services on behalf of Borouge in Pakistan. 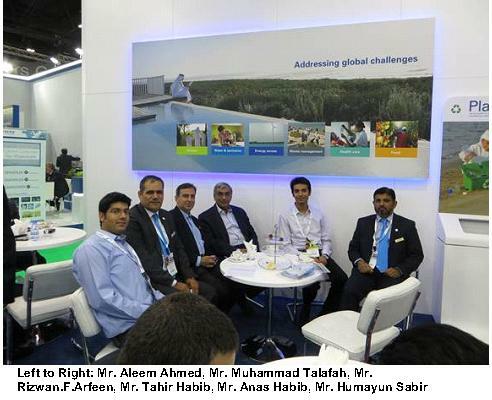 The show successfully concluded on January 13, 2015 with promising results for the coming year.